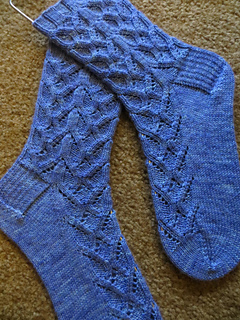 Originally for the Dec 2016 Barking Dog Yarns sock club kit. 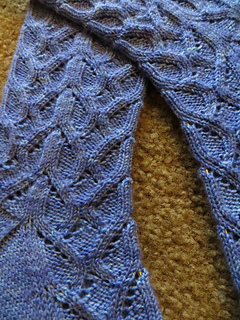 This top-down lace pattern works up quickly, easily works for TAAT sock knitters. 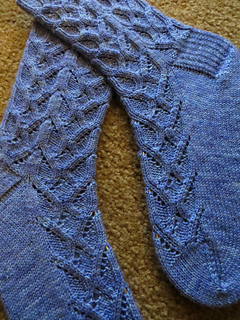 The pattern includes three sock sizes (64-, 72- and 80-sts) and features both charted and written instructions.